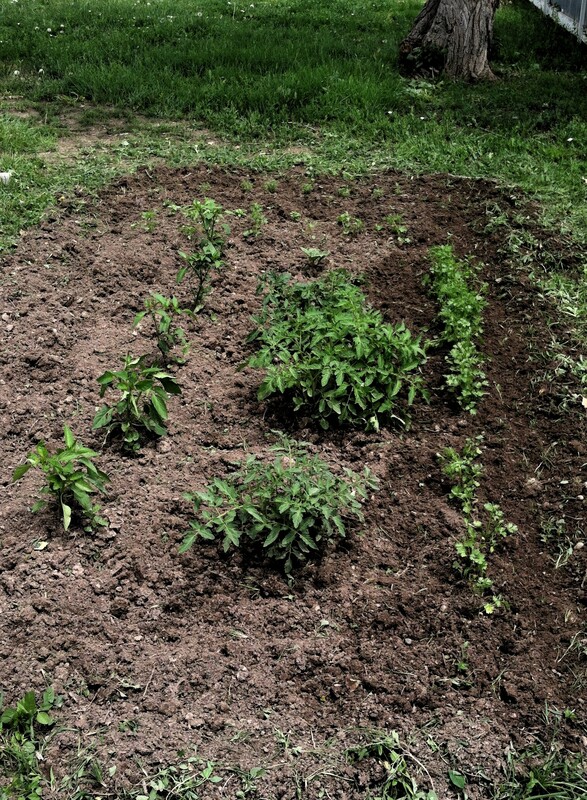 War Against the Weeds | "...a better country"
I am an amateur, occasional gardener. No such thing you may say but every so often we give it a try. I still consider myself a beginner & no I don’t want well-intentioned advice on how to do it better. We are trying again this summer & planted some tomatoes, chili peppers, eggplant and basil, cilantro & oregano. Due to the uncommon rains in our corner of S.E. Colorado, I have had to spend lots of time on identifying and picking weeds since they have grown in profusion over the last weeks. What started out as a nice, weed free area with a few plants became a small jungle of intertwining opportunistic weeds who not only had spread remarkably fast but have also intertwined with the stuff I want to grow. So for a few hours today I sorted through the soil to root out the interlopers & once again the space looks somewhat weed free – at least for a few days. Growing something worthwhile takes cultivation. Weeds need no such care – most gardeners won’t find this a surprise. Weeds need no help to thrive. I think there’s a parallel in the life of growing in grace and the Spirit. If I do nothing and kick back and don’t pay attention all kinds of sinful habits will easily sprout up & multiply – no effort required! But those weeds of mind, soul & spirit, if left to themselves will eventually smother the good in an aggressive, intertwining, life draining entanglement and steal the space, nutrients and moisture required by the good. To “bring forth much fruit” (John 15:8) as we are called requires time, attention and care. Those who cared for the soul in former times called for utilizing “the means of grace” – the spiritual disciplines which with the help of the Holy Spirit cultivate the heart, soul, mind and body for God including (but not limited to) prayer, reading the Bible, singing, hearing & listening to the Word of God preached, the Lord’s Table, meditation, confession of sin and serving others. Growing in grace is not a passive activity. It requires my attention and action as well as at times with the Lord’s help, close up inspection and identification of what may be encroaching in my soul – just like my Anaheim & Jalapeno chilies. As to my battle with the weeds and what the garden hopefully produces – I will keep you posted.